Diwali celebrations ended almost a fortnight ago but you know what hasn’t stopped yet? The Binge Eating!! We know how Shilpa Shetty Kundra enjoys her ‘Sunday Binge‘ but let’s just accept it, we all ain’t no Shilpa Shetty! And with the wedding season just around the corner, we need to look our best. And as all the calorie –conscious peeps know steamed chicken is probably the healthiest thing you can eat and keep that weight in check. 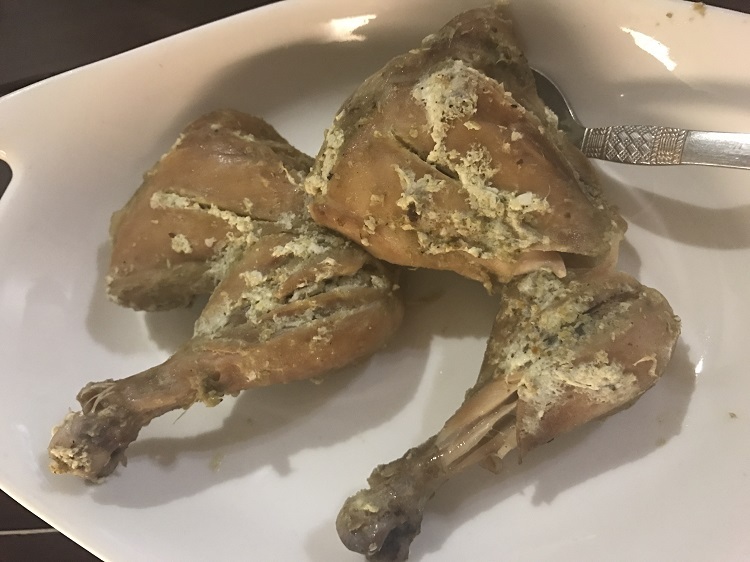 So here is a list of our top 5 recommended places that serve lip smacking steam chicken in Ludhiana, which will help you ladies rock sarees and lehengas and men to flaunt their six packs. This small little place near the bus stand probably serves the best fresh steamed chicken in town. It completely lives up to its name. The menu is designed to keep you healthy and fit. Their steamed chicken is super juicy, tender and has subtle flavors of salt and pepper. It is served with two chutneys; light coriander with a little zing and a light homemade mayo to balance it off. Why Go for ’em? – The pricing. They charge you per piece, so you can order just the right amount according to your appetite. Pair it up with some hot chicken soup for a complete meal. Another place that serves amazing steamed chicken is University Point on Ferozepur road. The steamed chicken here is loaded with flavors. With every mouthful, you will experience a strong flavor of black pepper and the chicken is oh-so-soft melt in your mouth kinds! The chicken is served with green chutney, lemon, and salad. Why Go for ’em? – Their huge serving! One plate consists of 4 leg pieces and 4 chicken breasts (medium sized). If you are eating alone, all you need is to order this and you are good to go. You all must have seen the pink colorful truck parked in Chowpatty, Ghumar Mandi. Well, guess what’s the chef’s special here? Aah, you guessed it right! It’s steamed chicken!!!!! 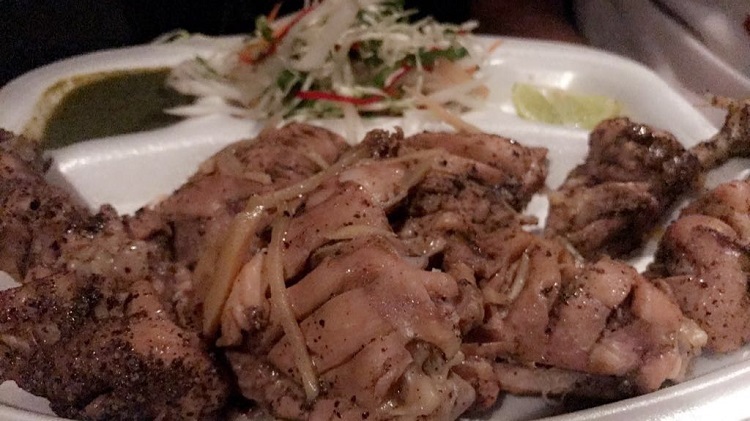 Truck Shuck Dhaba’s steamed chicken is really different. The chicken is marinated in a very light curd based marination with green chilies and garlic, which gives it a spicy yet a balanced taste. Why Go for ’em? – The colorful ambience. The ambience of car dine here is full of festivity and hustle bustle. Grand Oriental is known for its desi style Chinese but another thing you have to try there is the steamed chicken. 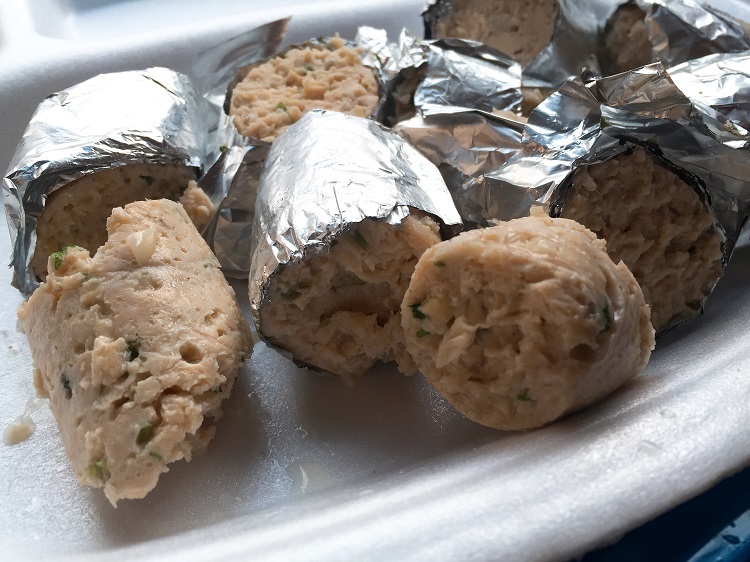 They serve steamed chicken in kebab style that is rolled up in tin foil wrap. It has subtle flavours of onion, garlic and green chilli. the best part is that its extremely soft, juicy and served piping hot. Why Go for ’em? – The serving here is quite big and can be enough for two people. Paired up with their famous red chutney, the chicken tastes epic! An amazing healthy yet delicious dinner choice. When we are talking about chicken in Ludhiana, how can we miss out on our darling Baba chicken? Well we all know its famous butter chicken but how many have you tried its steamed chicken? So the next time one of your family members or friends drag you along for some butter chicken, you can order some healthy steamed chicken. Baba also serves steamed chicken in kebab style wrapped in foil paper served with green chutney and onions. Why Go for ’em? – Chicken pieces are huge and have a lot of flavor of green pepper, green chili, garlic, and ginger. Serving is big enough for 2 people. #GedhiTip – Since it takes about 20-30 mins for preparation. You should call in and order before reaching the place. Do you know of any other places that serve Steam Chicken? Let us know in the comments section below! 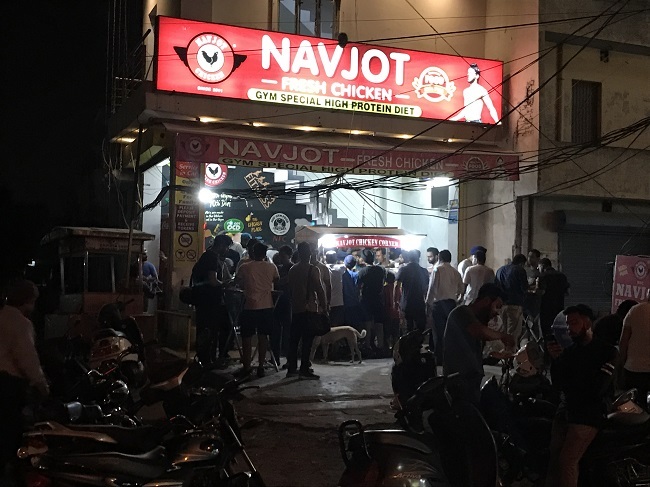 For best steam chicken in Ludhiana.. Please visit sunny steam chicken, F block market, BRS nagar, near orient cinema .. Thank you so much for the recommendation. We will definitely visit it.